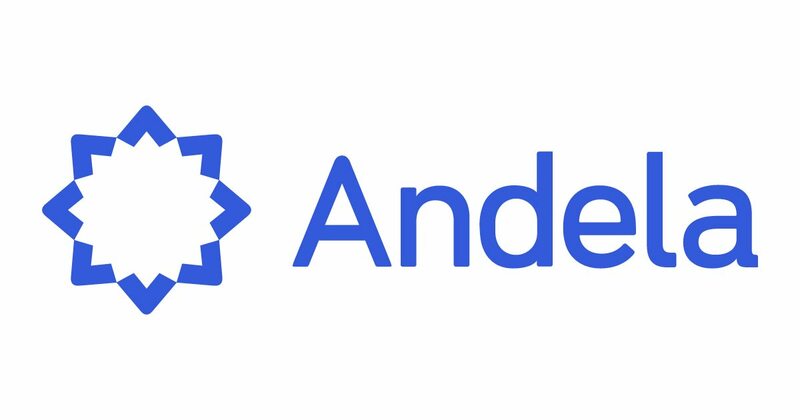 Andela Nigeria latest job opportunities. See the requirements and procedure on how to apply for Andela Nigeria Jobs online. The Andela Fellowship is a full-time employment opportunity designed for talented and high-potential technologists to build their skills and experience on a global scale. We seek out exceptional people from a variety of backgrounds who are committed to unlocking their full potential. Experience in leading planning / budgeting processes within large and fast-growing organizations – preferably with a technology company. Experience managing and leading high-performing finance talent. Experience in partnering with multiple stakeholders to understand business levers, advising on financial and operational implications, and setting frameworks to drive accountability. Ability to deal with ambiguity and tackle complex operational initiatives in a collaborative environment. Experienced with storytelling, infographic/visual aid creation, Instructional design, can bring ideas to life and convey information in a way that’s very easy to understand. A strong collaborator with a passion for improving the quality and experience of self-driven learning for Andela Fellows. Be an adaptable self-starter and able to work independently with some ambiguity and develop process and structure as needed. A Bachelor’s or advanced degree in Software Engineering, Computer Science or related field. A self-starter who can accomplish tasks with minimal supervision. 5 years experience in Learning & Development. A Bachelor’s degree in Business, or a related field. Proficient with Google Docs/Microsoft Word, Sheets/Excel and Slides/Powerpoint. The world needs more great software developers. We already figured out what it takes to create them. We’ve seen Silicon Valley churn out thousands – they begin with a solid grounding in computer science and hone their skills throughout years of experience working alongside the best in the field. What if you could replicate that process and then use technology to make the experience better and faster? Welcome to Andela. After going through our process and working as a distributed developer for a number of global teams, you’ll have the skills and experience to thrive in today’s digital economy. From complex problem-solving to cross-cultural team building, you’ll join an elite class of leaders and technologist building the future. 10 years’ experience in IT. 5 being in a managerial role for a big company. Bachelor’s Degree in IT, Computing or related field. A good understanding of computer networks, a Cisco or any other network certification is required. Security certification and/or experience with ISO/SOC certification will be an added advantage. Understanding of helpdesk systems is essential. How to Apply for Andela Jobs in Nigeria. Apply for the post of Software Engineer at Andela Nigeria. Apply for the post of Director, Financial Planning and Analysis – Africa at Andela Nigeria. Apply for the post of Learning Media Producer at Andela Nigeria. Apply for the post of Business Analyst at Andela Nigeria. For inquiries, please read the Application FAQs and Home Study FAQs. If you still have unanswered questions, please send an email to nigeria.apply@andela.com. Watch this video to learn about our values. Apply for the post of Senior Software Engineer (Platform) at Andela Nigeria. Apply for the post of Talent Acquisition Senior Manager – Africa (Sourcing) at Andela Nigeria. Apply for the post of Recruiting Manager at Andela Nigeria. Apply for the post of Engineering Manager at Andela Nigeria. Apply for the post of Senior Manager – Analytics and Operations, Technical at Andela Nigeria. Apply for the post of Engineering Recruiter at Andela Nigeria. Apply for the post of Senior Operations Manager at Andela Nigeria. Apply for the post of Global Learning and Development Director at Andela Nigeria. Apply for the post of Senior Software Developer at Andela Nigeria. Apply for the post of IT Manager at Andela Nigeria. Apply for the post of Facilities Coordinator at Andela Nigeria. Apply for the post of Senior Frontend Engineer at Andela Nigeria. Note: Andela provides equal employment opportunities and workplace to all employees and applicants without regard to factors including but not limited to race, color, religion, gender, sexual orientation, gender identity, national origin, age, disability, pregnancy (including breastfeeding), genetic information, HIV/AIDS or any other medical status, family or parental status, marital status, amnesty or status as a covered veteran in accordance with applicable federal, state and local laws.